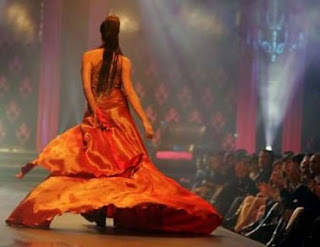 On this blog http://lebfashion.blogspot.com I discovered the great fashion of Lebanon. 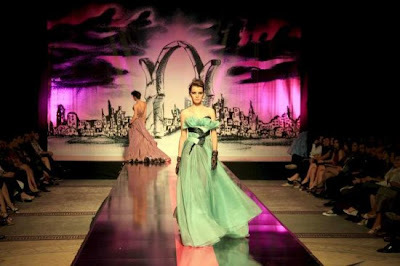 The dresses are like out of another world ans I want to tell you about it!!! So I searched the Internet about lebanese fashion design and found so many beautifull things that I can´t wait telling/showing you!!! At first there are the amazing creations from Antoine el Kareh. He doesn´t spare with fabric, that´s so great. I love long dresses with whide masses of fabric! On this picture I love the healthy look of this lebanese Model. Isn´t this a great photo???? And here is the provement, that a woman can be a beautifull Model AND able to wear a bra! Not to speak about that amazing dress!!!! realistic legs and fine fabric. Here you see beautifull ladies in amazing dresses. Kate Moss would look like a child beneeth them. So much great, shiny fabric again!!! I love that colour. Tony Yacoub is one of my favourites now, because he has a fine sense for covering a womans body and I think in his creations every Lady would look great. Wow this blog is beautiful. All of those dresses are to die for. I cannot thank you enough for the award. It means so, so much. The feeling I get when I recieve an award is so magical. To me, it shows that my work is paying off. That, is the most important thing of all. DAs 5. Foto und auch das Kleid sind wirklich ein Traum!!! Das fünfte und das letzte Bild sind der Hammer! Ohmygosh! What beautiful designs. I'm ashamed to say I never imagined any Lebanese designers, but this is amazing. Hi! Thank-you for the compliments on my blog - I'm here to return them! I love the Lebanese fashion - for my textiles project at school I chose India and used sari's as my inspiration- the colours, fabrics and embellishments are so beautiful, aren't they? I sorted the problem with the Follower's link, I didn't realise it had disappeared! Whoops!